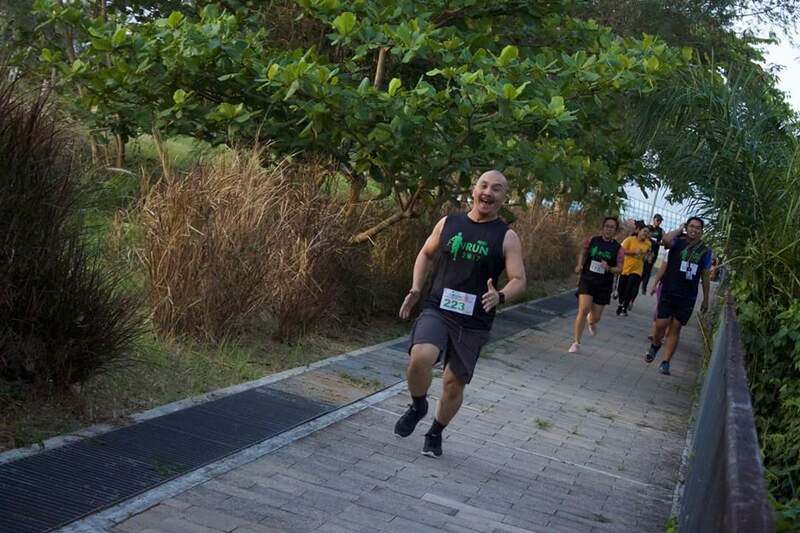 So I got tagged on Facebook during the recent 3K fun run. Two laps around the scenic Nuvali lake. Not gold but feels like one. Credit for the first two image goes to those who shot it during the event. Thanks! 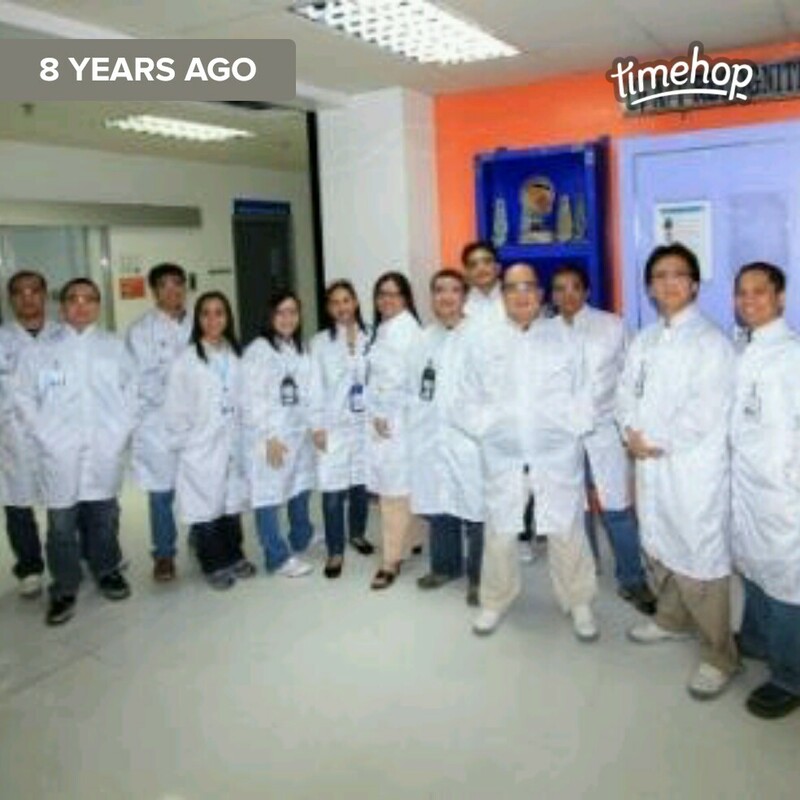 So it’s been eight years since I found myself wearing an antistatic smock. This room in the picture is gone, goner than any structure on Marcus’ Fallout game. Retrenchment breaks buildings apart faster than nukes, huh? Incidentally, I’m still into my 2008 posts migration and one I’ve already inserted the name Intel which I once held back to be discreet about some topics. Now all those are basically declassified. Do I have time? Such is the question that would linger every now and then. Among other things, time management is the toughest. Time they say is the great equalizer because everyone, regardless of status, has only 24 hours each day to spend. Yes, rich or poor, black or white, young or old, fat or thin, healthy or not, just 24 hours each—what differs is what is at stake for each minute lost. Extra time in reality does not exist and it won’t be a surprise if someone would wish if only they could buy time that the others won’t use. But then again, we can’t. Even Donald Trump can’t. Do I have time? Take note of ‘I.’ I for individual, I for me. Sadly, we are not alone and time is not ours all the time. Our jobs, bosses—bad bosses included, relatives, neighbors, friends, parents, wife, and kids, in no particular order, want either a small piece or a big chunk of our 24 hours. It takes a bit of skill, a bit of negotiation, a bit of luck, and a lot of sacrifice to manage time. Even the holidays do not present total freedom. Unless you get to escape, if your personality and lifestyle permit you to do so, and isolate yourself to enjoy the whole day on your own—half of it I would spend in bed—you have at least one or two other people whom you need to spend time with. This week I have that opportunity to enjoy the much-awaited time off. Thanks to the Americans who would ignore repeated and annoying rings and trade all business calls for a time together with their family and friends in front of their favorite roasted turkey and beer. Thanks to Thanksgiving Day, I have time to be just at home. No late night drives for two days. How to spend the next days is another matter but we’ll see. There’s iflix, there’s Minecraft and Call of Duty, there’s errand to the grocery store, there are things to pack, there’s a birthday to celebrate. I am among those who get excited when companies announce that they have a new logo and I even would like to believe that given the time and tools I could create a good one, if not better, myself. Pardon the statement, it sounds more like I am frustrated graphic artist, but having a logo is not as simple as knowing how to make one. Every element in a logo should deliver the right message as the outcome becomes the symbol that sums up the company’s vision and mission. It is meant to get everyone like its employees and its target market recognize it and, more importantly, know at first glance the core message that it tries to deliver. Many corporations were spot on with their logos but there were several who, despite their best intentions, failed to find that one minor detail thus a logo that is ridiculous or one that sends the opposite of its key message. While I haven’t been part of a logo team of any company, my rusty marketing subject plus my imagination tell me that to come up with a logo involves a tedious and a creative process. Again, the vision and mission statement should be the foundation and some critical questions should be answered. What idea or products do you sell? What impression do you want to tell your target audience—i.e., your employees, your market, your community? How do you want your company to be perceived? If it appears good on shirt could be one but that should be among the least of the concerns. It is therefore imperative that the right team is in place to come up with the right—not necessarily the best—logo. Ideally, every stakeholder must be there and everyone must at least possess a keen attention to detail as a logo is a tattoo that once completed would be hard, time-consuming, or worse, painful to change. Lastly, like any product, a new logo should also have its own promotion to reach its target market. It should be handled by a good marketing team who knows how to sell it and knows the right media that could effectively get the message across. Anything less would make all efforts go to waste and the logo ends up as good material for a weekend article or an entertainment for people who likes to kill time online during their rest day. 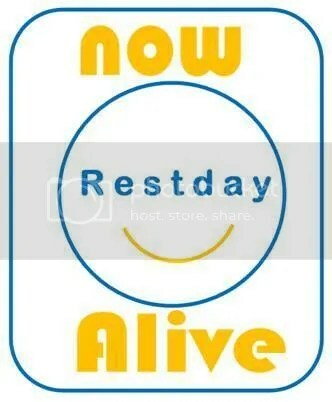 My own rest day logo so there is no need to like it. Who says D) All of the above? I am among those who like posters and typography. I love looking at menu artworks especially that of Starbucks which is one way of being seen in front of the store without having to spend a cent. I am also interested in corporate photography that are used in slide presentations–usually compensates for boring lectures. All these, however, require tools to accomplish which is the reason my ideas remain inside my head. I can’t buy the software, I can’t buy the camera. Fortunately, I finally found time to check out Canva.com which offers an online tool for anyone who has a poster idea. The website has a range of layouts and a number of typefaces to go along with each design. The poster above is my first creation using its free service. I need a back office job. This blog needs some happy tune so here’s one called Bills by LunchMoney Lewis and I declare this as part of the soundtrack of my life. The calendar on my phone tells me it is Friday, past 3 a.m. I have just awakened from a cold sleep. I gazed around but no double-deck beds, no La-Z-Boy recliners either. I stepped out and no hallway too. On my left is a living area and on my right, the dining–floor fully carpeted. On the kitchen counter are tea and coffee packs neatly arranged on a white porcelain tray. Obviously I am not at work. Aw snap, I remember, I am in a Bellevue Alabang suite. Thanksgivings haven’t been like this. It is not so often that I spend my time off with some other people at work and I am not bothered. I am with a party of selected employees and bosses but there is absence of stress. The only pressure was if I can keep up with everyone else during meal. Brunch was at Shakey’s Paseo Sta. Rosa. Dinner was at Yakimix ATC. Ironically, in between these gut-busting itinerary our group watched a movie: Hunger Games. It was my first time to watch it and despite lack of sleep I was able to finish Mockingjay – Part 1–maybe it was because of Katniss Everdeen, or maybe President Alma Coin, or maybe just because I had one Starbucks venti Americano with an additional shot. I am now stuffed as a turkey and buffet breakfast is fast approaching. Time to consider the gym. I typed staycation and spell check suggests ‘stay caution.’ Well, the bathroom scale agrees.